I had some good luck with my last box of Artifacts so I decided to try and extend that luck with this blaster today. This blaster comes from 2013/14. Traditionally it has been extremely difficult to get anything out of Artifacts... but hopefully luck has changed! Artifacts is one of the higher-end brands that you can get at the retail level. The base cards are classy and have a good feel to them, but blasters of Artifacts don't really have much to look forward to and find. A typical blaster will be almost all base cards save for one parallel. Unless you like paying for nice glossy base cards, Artifacts is a product collectors should steer clear of. Though the price of a 13/14 Artifacts blaster is about half of its original price, that's probably not low enough for the cards you get out of one. I mean, these blasters should be $3 max in my opinion. That would be a reasonable price. Well... that was awful. I was hoping for a blaster that was more like my previous Artifacts break, but instead I got the typical Artifacts break - which means getting a football to the groin. This blaster was all base cards and one red parallel card. What a waste of time and money! 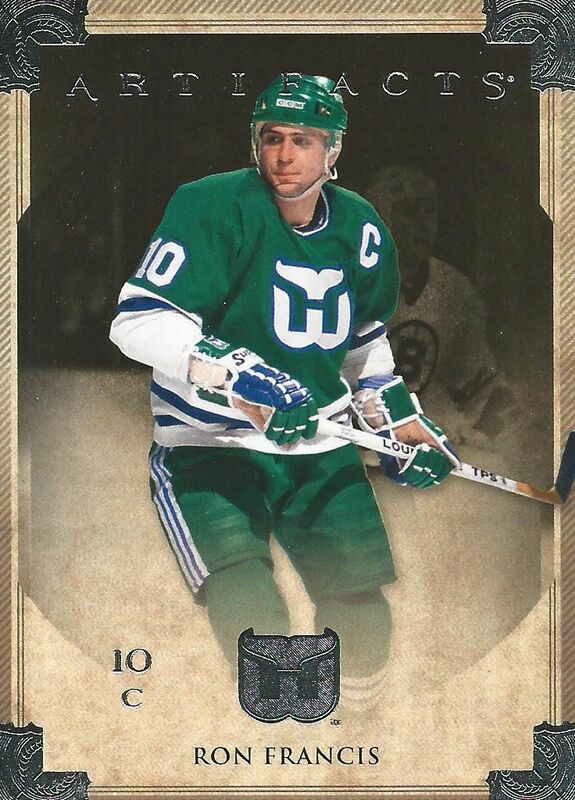 I have a huge soft spot for the Whalers so when I saw this card I knew it would be a top three candidate. Gotta love the Whalers! 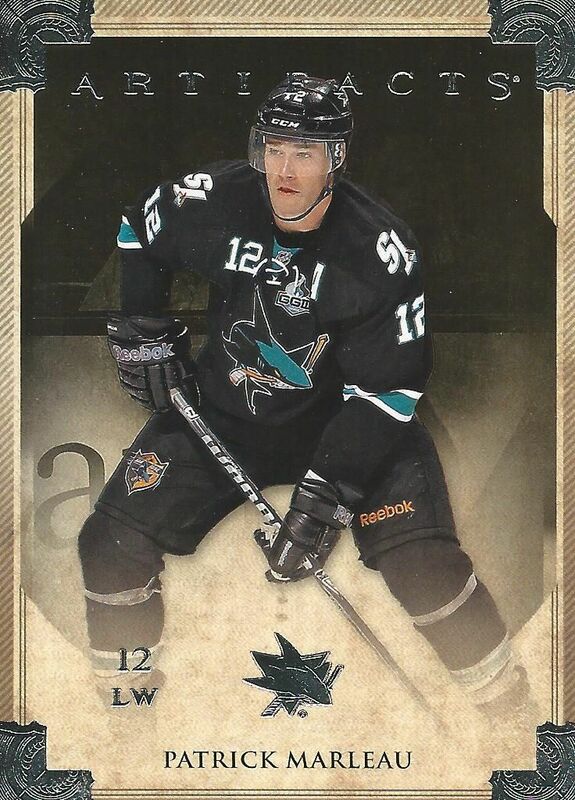 For the number two spot I went with Patty Marleau. 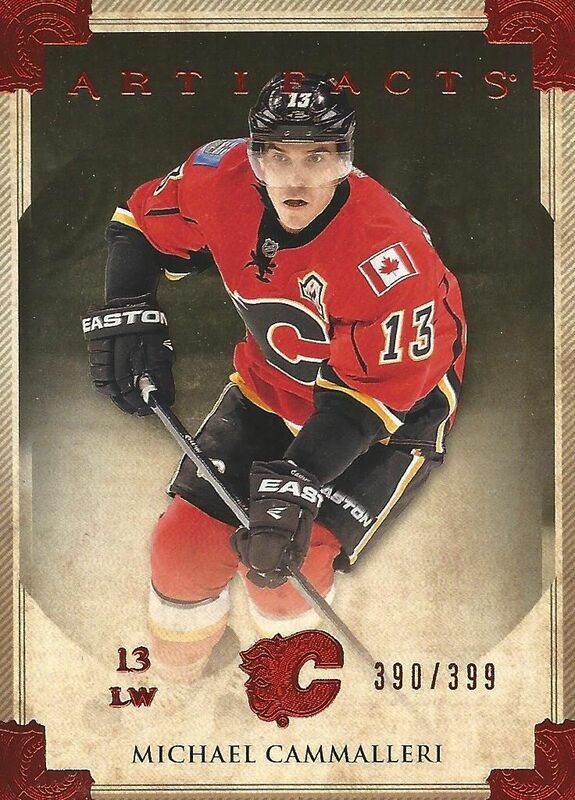 There were great players in the blaster like Sidney Crosby, Alex Ovechkin, and Wayne Gretzky... but this week I had to be a homer and put a Shark in. 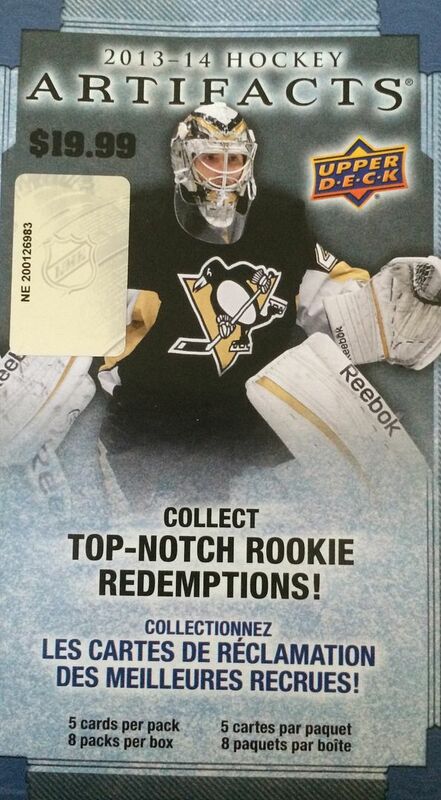 Sigh... this is the top card because it was the only non-base card in the blaster. This red parallel is numbered to 399. Out of a hobby box this wouldn't really be anything. Well, pretty much the same out of a blaster too. This blaster was just gross. It's stuff like this that really drive collectors away from buying retail products. Like I've said before, I have some ideas on how to make retail better. It's just got to change! Breaks like this only hurt the hobby. Nothing good came out of this blaster and it was extremely boring to open as well. Upper Deck, if you're listening, let's make these retail products more worth our while!